It would be simplistic, after three of six races in NHRA’s Countdown to the Championship that decides the four Mello Yello Drag Racing Series championships, to cede Top Fuel’s title to Antron Brown. 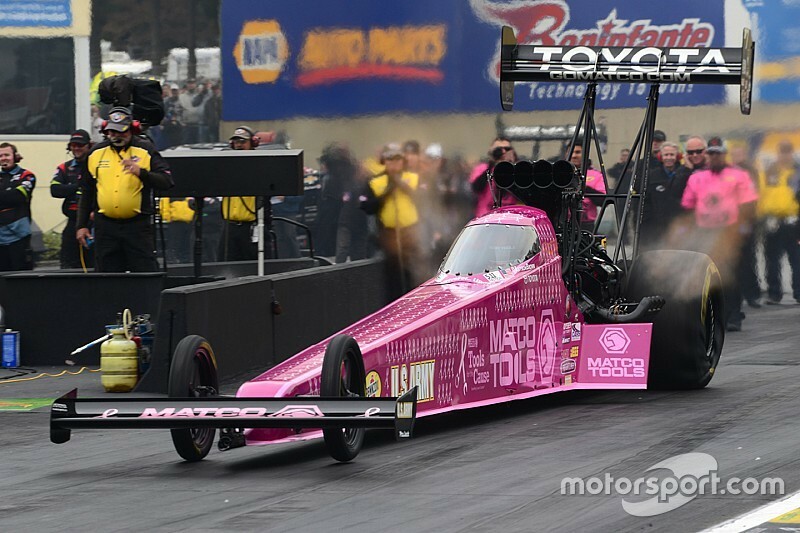 The driver of Don Schumacher Racing’s Matco Tools “Tools for the Cause” hot pink dragster won his third straight race at Maple Grove Raceway on Sunday, beating teammate and defending Keystone Nationals Top Fuel winner Tony Schumacher. The victory by Brown came after a day and a half of misery for everyone on-site, as rain and cold ruled the day Friday and there was a single qualifying session on Saturday that slotted Brown 12th in the order. 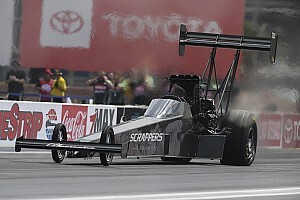 Only two Top Fuel rails went down the track at a sub-four-second rate on Saturday afternoon: Brittany Force was top qualifier at 3.725 seconds and Leah Pritchett also passed the 1,000-foot stripe at 3.787 seconds. All other 12 qualifiers - no full field of 16 for this race - went up in smoke as they tried to conquer the conditions. Still, Brown has to be careful. Even after posting four 3.7-second rounds on Sunday, held under near ideal conditions under cool and clearing conditions. The New Jersey-bred athlete easily beat Steve Torrence, prevailed in a close contest over Dom Lagana, had another tight contest with Larry Dixon before vanquishing Schumacher, who set no time and was unable to complete a lap down the racetrack. 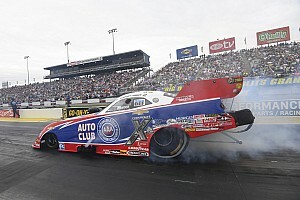 This victory marked Brown’s 54th career Wally, with 38 of those wins coming in the tough, Top Fuel category. The 2012 champion has memories of a large lead that diminished in the final race of his championship year, one that he took after a huge explosion in the season finale at Pomona; he watched from the sidelines, wearing gloves to help heal the burns on his hands. He remembers distinctly how difficult that was and how stressful. And Antron Brown sure doesn’t want to see that happen again. In the meantime, he’ll be wearing his pink uniform and racing his pink dragster as Brown racks up the points and works to gain his second career Top Fuel title. “This day was just a true blessing," he said after winning his 12th consecutive round to begin the Countdown. “That first round was a crap shoot and this team just did a great job. You don’t go into the Countdown believing you’re going to win the first three races,” he said after Sunday’s victory that extended his lead to 94 points over Schumacher, up from 77 going into the weekend. Taking advantage of a good track and a good car are the hallmarks of a great driver. It’s safe to say that Antron Brown, who grew up about an hour from the Maple Grove dragstrip, is showing just how good he, crew chiefs Brian Corradi, Mark Oswald and the entire Matco Tools team can be.